Did you know you can buy Jane Austen toothpaste? Or Pride and Prejudice confetti? Or would you prefer an Austen air freshener? 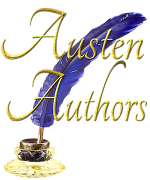 I write about odd and interesting Jane Austen merchandise in my Austen Authors blog. Found here. ← Mr. Darcy to the Rescue is Free Today!